Monpe is Sold as Labour Work Clothes. 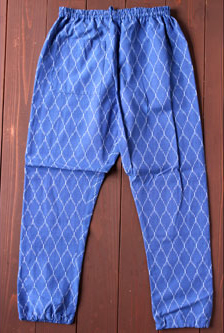 When I lived in Brunei, I often wore Monpe styled pants after Jungle walking. 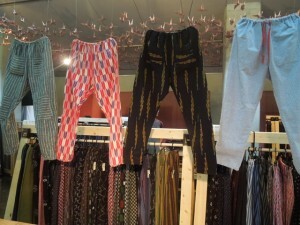 As I remember that most of the members of jungle walking club were wearing this pants. 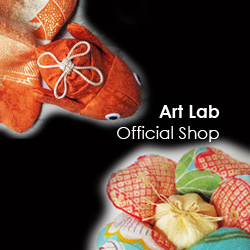 It’s easy wear and comfortable especially after sweating . 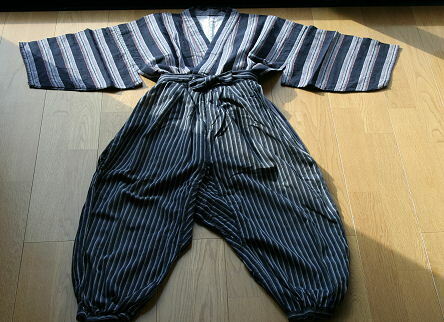 It was used for labor, working clothes as a Hakama to wear over a kimono in the Tohoku districts in old days. 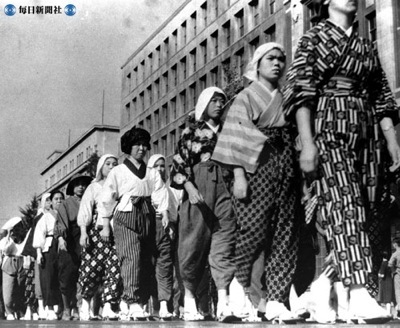 All over the Pacific War, it was recommended as “the Monpe, propagandism” in women’s organisation by the Ministry of Health and Welfare. Those durable materials, striped cotton cloth and the indigo cloth with splashed pattern, were used on this occasion. Some people use the silk cloth which made over the kimono for formal occasion. There were the history that the nation half forced to wear Monpe, loose trousers. Thus, the Monpe sometimes is used as symbol of the very bad life standard in the war time. Even now, monpe are sold as labour work clothes. 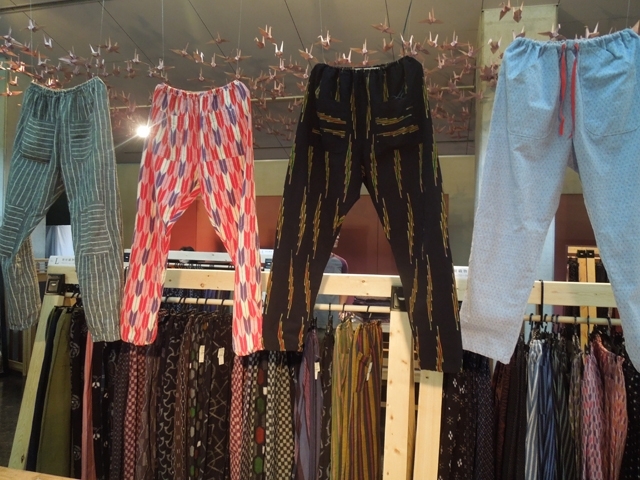 Colourful Monpe draw attention as casual fashion recently.